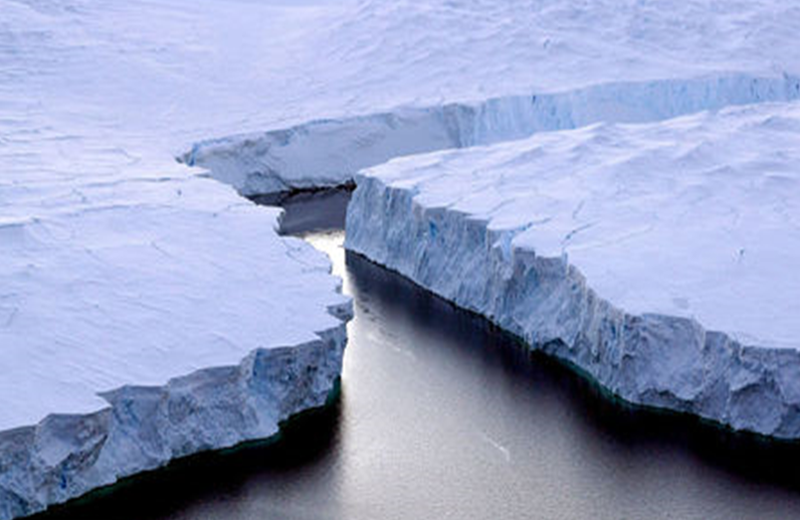 Global sea levels have risen by at least 13.8 millimeters over the past 40 years due to melting of Antarctica’s ice. The primary source has been thought to be the unstable West Antarctic ice sheet, but a new study has shown that the East Antarctic ice sheet, previously thought to be safe from the wreck of climate change, may also be melting at an accelerated rate. Scientists came to this conclusion on the basis of their study of satellite images of over 40 years. Princeton University climate scientist Michael Oppenheimer commented in Science—“If this paper is right, it changes the ball game for sea level rise in this century”. The West Antarctic ice sheet has already been found to be melting at a rapid speed and the East Antarctic ice melting will further worsen the situation as this region holds 10 times the ice than the West. The West Antarctic Ice Sheet has its base below the sea level and has long been considered to be most vulnerable to collapse. A deep current of warm water slips beneath the ice sheet and thus melting it continuously from below. This has left the ice sheet a mere floating shelf and at high risk of breaking away. In contrast to this, the East Antarctic ice sheet’s base above the sea level and the extreme cold condition were thought to provide protection to it from the intrusion of hot water. But with climate change shifting in wind patterns around Antarctica, scientists now think that warm water may start invading East Antarctica’s once inaccessible ice. A circular current off the continental shelf would carry warm water to the East Antarctic ice. “People who study Antarctic ice know that East Antarctica has the potential to start losing significant amounts of ice, but it’s never been clear how fast that would happen’’, Oppenheimer said. Glaciologist Eric Rignot of California University, US, with his colleagues collected satellite images and climate modeling of 40 years. The climate models were taken to estimate the annual snowfall. The annual snowfall adds ice to the glaciers. The satellite images were used to measure the speed at which ice has been flowing out to sea. From this measurement they could estimate the amount of ice that has been sent to sea from the glaciers during the period 1979 to 2017. But the new results would not go undebated. The possibility lies in comparing the methodology used in the current study to that of the previous ones. But whatever the outcome becomes, the study has brought a previously understudied area of Antarctica to a greater attention.